For a list of officeholders, see List of Prime Ministers of New Zealand. The Prime Minister of New Zealand (Māori: Te Pirimia o Aotearoa) is the head of government of New Zealand. The incumbent[update] Prime Minister, Jacinda Ardern, leader of the New Zealand Labour Party, took office on 26 October 2017. The Prime Minister (informally abbreviated to PM) ranks as the most senior government minister. She or he is responsible for chairing meetings of Cabinet; allocating posts to ministers within the government; acting as the spokesperson for the government; and providing advice to the sovereign or the sovereign's representative, the governor-general. She or he also has ministerial responsibility for the Department of the Prime Minister and Cabinet. The office exists by a long-established convention, which originated in New Zealand's former colonial power, the then United Kingdom of Great Britain and Ireland. The convention stipulates that the governor-general must select as prime minister the person most likely to command the support, or confidence, of the House of Representatives. This individual is typically the parliamentary leader of the political party that holds the largest number of seats in that chamber. [b] The prime minister and Cabinet are collectively accountable for their actions to the governor-general, to the House of Representatives, to their political party, and ultimately to the national electorate. Originally the head of government was titled "colonial secretary" or "first minister". This was changed in 1869 to "premier". 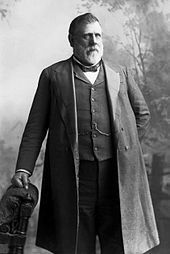 That title remained in use for more than 30 years, until Richard Seddon informally changed it to "prime minister" in 1901 during his tenure in the office. Following the declaration of New Zealand as a Dominion in 1907, the title of Prime Minister has been used exclusively in English. In Māori, the title pirimia, meaning "premier", continues to be used. New Zealand prime ministers are styled as "The Right Honourable", a privilege they retain for life. The post of prime minister is, like other ministerial positions, an appointment by the governor-general on behalf of the monarch. By the conventions of responsible government, the governor-general will call to form a government the individual most likely to receive the support, or confidence, of a majority of the elected members of parliament. In making this appointment, convention requires the governor-general to act on the outcome of the electoral process and subsequent discussions between political parties; and act on the outcome of the political process by which the person who will lead the government as prime minister is identified. In practice, the position falls to the parliamentary leader of the largest political party among those forming the government. The prime minister may lead a coalition government and/or a minority government dependent on support from smaller parties during confidence and supply votes. Once appointed and sworn in by the governor-general, the prime minister remains in the post until dismissal, resignation, or death in office. [c] The prime minister, like other ministers, holds office "during the pleasure of the Governor-General", so theoretically, the governor-general can dismiss the prime minister at any time; however, their power to do so is heavily circumscribed by convention. The governor-general might rarely exercise reserve power to dismiss the prime minister in circumstances pertaining to a non-confidence motion against the government in parliament. The prime minister chairs meetings of Cabinet, where government policy is formulated. The office is not defined by codified laws, but by unwritten customs known as constitutional conventions which developed in Britain and were replicated in New Zealand. These conventions are for the most part founded on the underlying principle that the prime minister and fellow ministers must not lose the confidence of the democratically elected component of parliament, the House of Representatives. The prime minister is leader of the Cabinet (itself a body existing by convention), and takes a coordinating role. The Cabinet Manual 2008 provides an outline of the prime minister's powers and responsibilities. Amendments to the letters patent constituting the office of governor-general, which most recently occurred in 2006. The conferment of New Zealand honours (except for honours in the personal gift of the monarch). Appoint, dismiss, or accept the resignation of ministers. Call general elections by advising the governor-general to dissolve parliament. The governor-general may reject the advice to dissolve parliament if the prime minister has recently lost a vote of confidence (that is, the governor-general would be using their reserve powers), but so far none have done so. The influence a prime minister is likely to have as leader of the dominant party. These powers may give more direct control over subordinates than is attached to the prime minister's role. The power gained simply from being central to most significant decision-making, and from being able to comment on and criticise any decisions taken by other ministers. Since the introduction of the MMP electoral system, there has been an increased need for the prime minister to be able to negotiate and maintain relationships with support parties, which places some constraints on their abilities. 'New Zealand's darkest day'. Prime Minister John Key addresses the nation live on television following the earthquake that devastated Christchurch on 22 February 2011. Providing reassurance and leadership at times of national crisis is the traditional responsibility of the prime minister. The prime minister is also expected to take on additional portfolios. Historically, the prime minister looked after colonial and revenue portfolios. As New Zealand expanded, the role of minister of finance became too big; Prime Minister Sir Robert Muldoon was criticised for taking on the finance portfolio during his time in office as it resulted in a large concentration of power in one individual. Before 1987, it was also common for Prime Ministers to take the role of minister of foreign affairs, so they could represent New Zealand on an international stage. More recent Prime Ministers have taken portfolios relevant to their interests, or to promote specific areas they saw as important. For example, David Lange took the education portfolio in his second term; Helen Clark took the role of Minister for Arts, Culture and Heritage; and John Key was Minister for Tourism. Although no longer likely to be the minister of foreign affairs, the prime minister is still responsible for welcoming foreign heads of government, visiting leaders overseas, and attending Commonwealth Heads of Government Meetings. Conventionally, the prime minister is the responsible minister for the Department of the Prime Minister and Cabinet (DPMC), which is tasked with supporting the policy agenda of Cabinet through policy advice and the coordination of the implementation of key government programmes. Under the Fifth National Government the DPMC expanded to give prime ministers greater supervision of security and intelligence. The prime minister was also responsible for the New Zealand Security and Intelligence Service (NZSIS) and the Government Communications Security Bureau (GCSB). Premier House in Wellington is the prime minister's residence. Under the Remuneration Authority Act 1977, and the Members of Parliament (Remuneration and Services) Act 2013, a prime minister's salary is determined annually by the Remuneration Authority, an independent body established by parliament to set salaries for members of parliament and other government officials. For the fiscal year from 1 July 2017 to 30 June 2018, the Prime Minister's salary is NZ$471,049, plus a tax-free allowance of NZ$22,606 to cover out-of-pocket official expenses such as meals, gifts, and entertainment. In addition, like all other ministers and members of parliament, the Prime Minister receives annual allowances for travel and lodging, as do the Prime Minister's spouse and children. 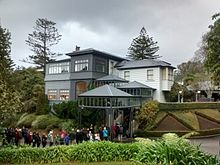 The incumbent Prime Minister's official residence is Premier House, Tinakori Road, Wellington. Unlike the residences of certain other heads of government (e.g. the White House and 10 Downing Street), Premier House does not serve as the government headquarters; instead the Beehive is the location of the prime minister's office. The prime minister's governmental work is supported by the non-partisan Department of the Prime Minister and Cabinet. The separate Private Office of the Prime Minister provides advice and support on political party matters. The style of "The Right Honourable" (abbreviated to "The Rt Hon") is always granted to the prime minister. Former prime ministers retain this style for the remainder of their lives. The written form of address for the head of government should use their full parliamentary title as applicable: The Right Honourable [name], [post-nominal letters], Prime Minister of New Zealand. Should a serving or former prime minister die, she or he is accorded a state funeral (subject to the approval of the family). Two prime ministers who died in office were buried in mausoleums: William Massey (died 1925) in the Massey Memorial in Wellington, and Michael Joseph Savage (died 1940) in the Savage Memorial at Bastion Point in Auckland. Assuming that Henry Sewell is counted as the first prime minister, 40 individuals have held the office since it was established. Some of these people have held it on several different occasions, with the record for maximum number of times being shared between William Fox and Harry Atkinson (both of whom served four times). The longest that anyone has served in the office is 13 years, a record set by Richard Seddon. The first holder of the office, Henry Sewell, led the country for the shortest total time; his only term lasted just 13 days. The shortest term belonged to Harry Atkinson, whose third term lasted only seven days, but Atkinson served longer in total than did Sewell. 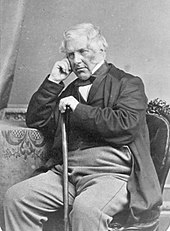 The youngest was Edward Stafford, who was appointed Premier in 1856, at 37 years, 40 days old. The oldest was Walter Nash, who was 78 years old when he left office in 1960 (and 75 upon taking office in 1957). New Zealand is one of the few countries in the world to have had three female heads of government, and one of only three countries to have had a female head of government directly succeed another. The first female prime minister was Jenny Shipley of the National Party, who replaced Jim Bolger in late 1997; Shipley was succeeded by Helen Clark in 1999. Jacinda Ardern, the second female leader of the Labour Party after Clark, became prime minister in 2017. On becoming the Colony of New Zealand in 1841, New Zealand was directly governed by a governor, appointed by the Colonial Office in Britain. Self-government was established in 1853, following the New Zealand Constitution Act 1852, and the First Parliament met on 24 May 1854. The origins of the office of prime minister are disputed. Use of the words "prime minister" as a descriptive term date back to the First Parliament, where they are applied to James FitzGerald and Thomas Forsaith. FitzGerald and Forsaith had no official titles, however, and New Zealand had not yet obtained self-government. As such, they are not usually considered prime ministers in any substantive sense. The first person to be formally appointed to a position of executive leadership was Henry Sewell, who formed a brief ministry in April 1856, at the beginning of the Second Parliament. Despite his formal leadership role, however, his only actual title was "colonial secretary", a position comparable to a minister of internal affairs. His successor, William Fox, was also given a formal leadership role, but was not colonial secretary. When Frederick Weld became the sixth person appointed to formal leadership, a substantive leadership title, "premier", appeared. Weld's successor, Edward Stafford, briefly changed the title to "first minister", but it was soon restored to premier during the second tenure of Fox. From that point, the term "premier" was used almost exclusively for the remainder of the 19th century. Nevertheless, in the Schedule of the Civil List of 1873, provision was made for the salary of the head of government, referred to as the "Prime Minister". Initially, premiers acted as mere advisers to the governor—with the governor at times a very active partner. This began to change during the first tenure of Edward Stafford. Stafford met with his ministers and made decisions outside of the Executive Council, thus establishing the modern convention of cabinet government. Stafford also clashed with the governor over control of native affairs, which was eventually to fall within the premier's powers. The political position of the premier was enhanced by the development of modern political parties; premier John Ballance organised the first formal party in New Zealand, forming the Liberal Government in 1891. (Subsequent governments were led by prime ministers from the Reform, United, Labour and National parties). Although not every government would have a large majority, the party system and tight control of party members by whips helped heads of government to direct the passage of legislation in the House of Representatives. In 1893, the premier gained the ability to restrict the term of appointments to the Legislative Council. The title of "prime minister" was used by Richard Seddon after 1901, following New Zealand's self-exclusion from the Federation of Australia. Seddon's immediate successor, William Hall-Jones, was the first to be sworn-in as "prime minister", in 1906. The expanding power of the prime minister was kept in check by the need to build consensus with other leading members of Cabinet and of the governing party, including those who represented various ideological wings of the party. Other institutions, including Parliament itself and the wider state bureaucracy, also acted as limits on prime ministerial power; in 1912 Thomas Mackenzie was the last prime minister to lose power through an unsuccessful confidence motion in the House of Representatives. One change brought about by the First World War was direct participation in governing the British Empire. Previously, New Zealand prime ministers had attended occasional colonial and imperial conferences, but they otherwise communicated with London through the governor (a position then appointed by the British government). In 1917, however, British Prime Minister David Lloyd George offered the New Zealand prime minister a seat in the Imperial War Cabinet, the British Empire's wartime coordinating body. In 1919, Bill Massey signed the Treaty of Versailles on behalf of New Zealand, signalling both prestige within the Empire as well as a new independence for the country. Constitutional conventions adopted in 1930, following the Imperial Conference held that year, increased the domestic and international prestige of the prime minister. The Statute of Westminster 1931 confirmed that Dominions had exclusive power to make their laws. New Zealand initially resisted greater autonomy and did not adopt the statute until 1947. Increasingly, however, New Zealand began to act independently in foreign affairs. During the 1940s the prime minister's profile rose as New Zealand signed a number of international treaties. In 1967, Keith Holyoake became the first New Zealand prime minister to select candidates for the position of governor-general without any involvement of the British government. Holyoake advised the monarch, Queen Elizabeth II, to appoint Sir Arthur Porritt, the first New Zealand–born governor-general. After the mixed-member proportional (MMP) system was introduced in 1996, prime ministers have had to manage minority governments. The skill of MMP management was exemplified by Helen Clark's nine years as prime minister (1999–2008), when her Labour Party remained in power thanks to a range of confidence and supply agreements with five smaller parties. Until the premiership of Helen Clark, it was customary for senior members of the legislature, executive and judiciary—including the prime minister—to be appointed to the British Privy Council, granting them the style "Right Honourable". This practice was discontinued at the same time as the abolition of knighthoods and damehoods in 2000 from the New Zealand honours system. National's John Key became Prime Minister in 2008 and restored titular honours, but did not resume appointments to the Privy Council, meaning Key was styled "The Honourable". However, on 3 August 2010 the Queen granted the prime minister, along with the governor-general, speaker of the House of Representatives and chief justice, the style "Right Honourable" upon appointment. This decision will not affect past officeholders. On 21 June 2018, Labour's Jacinda Ardern became the first prime minister of New Zealand (and second elected head of government) to give birth while in office. As of April 2019, there are seven living former New Zealand Prime Ministers, as seen below. The most recent Prime Minister to die was David Lange (served 1984–1989), on 13 August 2005, aged 63. Within the last sixty years, a convention has also developed of appointing a deputy prime minister. The deputy typically holds important ministerial portfolios and, by convention, becomes acting prime minister in the absence or incapacity of the prime minister. The deputy is commonly a member of the same party as the prime minister, but not necessarily so; in coalition governments, the parliamentary leader of a junior party may be offered the post. Winston Peters, leader of New Zealand First, is the current Deputy Prime Minister, also serving as Minister of Foreign Affairs. ^ A prime minister is appointed if or when, and as long as, the governor-general is or can be satisfied that the appointee can or is able to command the confidence of the House of Representatives. There is no fixed term. ^ Convention merely requires that the Prime Minister's government can survive a motion of no-confidence. As a practical necessity, the Prime Minister is usually the leader of the party with a plurality of seats in the House of Representatives. However, on rare occasion, she or he may lead a coalition government that outnumbers the single largest party. ^ Five premiers and prime ministers have died in office: John Ballance (1893), Richard Seddon (1906), William Massey (1925), Michael Joseph Savage (1940), and Norman Kirk (1974). All died of natural causes. ^ The power of recall has never been exercised by a Prime Minister in New Zealand. Three governors were recalled during the colonial period, but on the advice of British ministers. 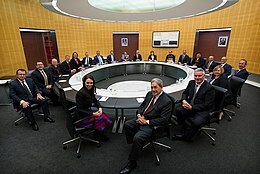 ^ Some political scientists have gone so far as to describe the Cabinet as the prime minister's 'focus group'. ^ The extent to which this power can be exercised varies between different parties; the Labour Party, for example, places most of this responsibility in the hands of the caucus, leaving the prime minister only with the power to choose which portfolios a minister is given. Furthermore, the MMP electoral system has complicated this, as a prime minister may have to consult with another party leader. ^ "Fresh batch of MPs land $163k salary after pay rise is awarded" – via TVNZ. ^ "Green Party ratifies confidence and supply deal with Labour". NZ Herald. 19 October 2017. Retrieved 24 October 2017. ^ "The Governor-General's role in a General Election" (Press release). The Governor-General of New Zealand. ^ a b c d McLintock, Alexander Hare (1966). "Prime Minister: The Title 'Premier'". An Encyclopaedia of New Zealand. Retrieved 5 January 2015. ^ a b "The Right Honourable". Department of the Prime Minister and Cabinet. Retrieved 13 October 2012. ^ a b c d e f g "Prime Minister". Cabinet Manual. Department of the Prime Minister and Cabinet. 2008. Retrieved 21 September 2011. ^ a b c d e f McLean, Gavin (1 December 2016). "Premiers and prime ministers – The role of prime minister". Te Ara: The Encyclopedia of New Zealand. Retrieved 4 September 2016. ^ "Parties and Government". New Zealand Parliament. Retrieved 20 December 2017. ^ "The Prime Minister's resignation – what does it mean for Parliament?". New Zealand Parliament. 6 December 2016. Retrieved 15 November 2018. ^ a b c d "Prime ministerial trivia". Ministry for Culture and Heritage. Retrieved 15 May 2018. ^ "Ministers of the Crown". Cabinet Manual. Department of the Prime Minister and Cabinet. Retrieved 15 November 2018. ^ "The Reserve Powers". The Governor-General of New Zealand. Retrieved 15 November 2018. ^ "NZLS New Zealand Law Journal". LexisNexis. 2008: 114–115. ISSN 0028-8373. ^ "Chapter 8 Parties and Government". New Zealand Parliament. Retrieved 16 May 2018. ^ a b Cross, William P.; Blais, André (2012). Politics at the Centre: The Selection and Removal of Party Leaders in the Anglo Parliamentary Democracies. p. 2. ISBN 9780199596720. ^ a b c d e Hayward, Margaret (2015). New Zealand Government and Politics. Auckland: Oxford University Press. pp. 371–373. ISBN 978-0-19-558525-4. ^ a b c "Premiers and prime ministers – Support Services and Statues". Te Ara: The Encyclopedia of New Zealand. Retrieved 4 December 2016. ^ "Clients' remuneration: Members of Parliament, including the Prime Minister and Ministers". The Remuneration Authority. Retrieved 4 December 2016. ^ "Parliamentary Salaries and Allowances Determination 2017" (PDF). The Remuneration Authority. Retrieved 27 October 2016. ^ "Members of Parliament (Accommodation Services for Members and Travel Services for Family Members and Former Prime Ministers) Determination 2014". New Zealand Legislation. Parliamentary Counsel Office. Retrieved 4 December 2016. ^ "Titles and styles of knights and dames". The Department of the Prime Minister and Cabinet. Retrieved 21 December 2017. ^ "Savage Memorial". Ministry for Culture and Heritage. Retrieved 15 May 2018. ^ a b Coulter, Martin (19 October 2017). "New Zealand gets its third female Prime Minister, aged 37". Evening Standard. Retrieved 15 May 2018. ^ "Women fight it out in NZ poll". The Independent. 21 November 1999. Retrieved 15 May 2018. ^ "The House of Representatives – First sitting, 1854". Ministry for Culture and Heritage. 19 August 2015. Retrieved 15 May 2018. ^ a b McLean, Gavin (2006). The Governors: New Zealand's Governors and Governors-General. Otago University Press. p. 354. ^ a b McLintock, Alexander Hare; Foster, Bernard John; Taonga (1966). "The First Premier". An Encyclopaedia of New Zealand. New Zealand Ministry for Culture and Heritage. Retrieved 15 May 2018. ^ Bohan, Edward (1994). Edward Stafford, New Zealand's first statesman. Christchurch, New Zealand: Hazard Press. ISBN 0-908790-67-8. ^ McLintock, Alexander Hare (1966). "The Rise of the Liberal Party". An Encyclopaedia of New Zealand. Retrieved 5 January 2015. ^ Parliamentary Debates, Volume 289. New Zealand Parliament. 1950. p. 642. ^ "Hall-Jones, William". Dictionary of New Zealand Biography. 1993. Retrieved 27 June 2018. ^ a b "Party leadership". Te Ara: The Encyclopedia of New Zealand. 1 December 2016. Retrieved 13 June 2018. ^ McLean, Gavin (1 December 2016). "Premiers and prime ministers - Towards modern leadership". Te Ara: The Encyclopedia of New Zealand. Retrieved 16 May 2018. ^ "Titles of Dames, Knights to be restored – Key". 8 March 2009. ^ "New rules for use of the Right Honourable". Buckingham Palace. 3 August 2010. ^ Khan, M Ilyas (21 June 2018). "Ardern and Bhutto: Two different pregnancies in power". BBC News. Retrieved 22 June 2018. Now that New Zealand's Prime Minister Jacinda Ardern has hit world headlines by becoming only the second elected head of government to give birth in office, attention has naturally been drawn to the first such leader – Pakistan's late two-time Prime Minister Benazir Bhutto. ^ "It's a girl! Jacinda Ardern gives birth to her first child". Newshub. 21 June 2018. Retrieved 22 June 2018. She is only the second world leader in history to give birth while in office. Pakistan's former Prime Minister Benazir Bhutto gave birth to a daughter in 1990. ^ "New Zealand ex-leader dies at 63". BBC News. 13 August 2005. Retrieved 30 July 2017. ^ Small, Vernon (8 December 2012). "Labour leader looks to outsiders for deputy". Stuff.co.nz. Retrieved 14 May 2018. ^ Anderson, Charles (16 June 2018). "Who is Winston Peters? The 40-year rise of New Zealand's next acting PM". The Guardian. Retrieved 28 March 2019. ^ "Rt Hon Winston Peters". beehive.govt.nz. New Zealand Government. Retrieved 28 March 2019.